Dentist (Arlington) - Book Appointment Online! our office provides comprehensive one-stop quality dentistry. Our staff is highly trained, and our doctors are dedicated to meeting the needs of your entire family's dental care. We have Orthodontist, Root canal specialist, Oral surgeon, prosthodontist and periodontist under the same roof. 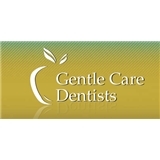 It is our goal to make your dental visit as pleasant as possible. We invite you to schedule a consultation to learn about the many services we offer, and see how we may assist you in getting that smile you've always dreamed of. At our office, our priority is to deliver guaranteed quality care to informed patients in a comfortable and convenient setting. Awesome front desk, awesome doctor. Great bedside manners and very personable.